We are delighted to announce that 75 new research participants were enrolled in the EPAD Longitudinal Cohort Study (LCS) in May. This made May our most successful month to date as it continued the positive trend in recruitment of research participants by exceeding the 73 research participants enrolled in April and the 66 in March. Congratulations are due to BBRC (Barcelona, Spain) who screened 11 research participants in May for their inclusion in the EPAD study making it the most successful centre this month. 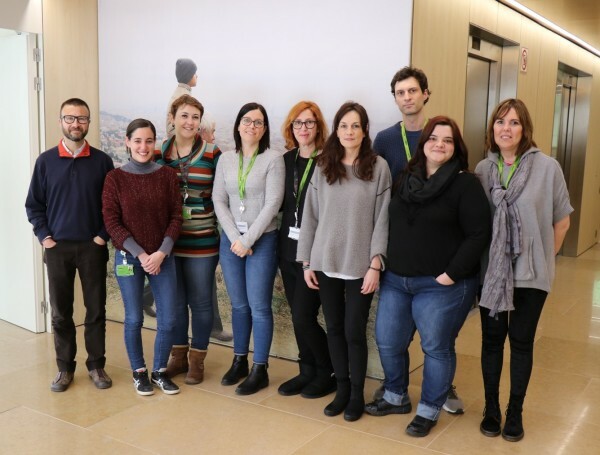 Congratulations for being the most successful trial delivery centre for a second month this year to the team of José Luis Molinuevo (pictured on the left) and his colleagues Laia Tenas, Anna Soteras, Anna Brugulat, Carolina Herrero, Laura Hernández, Oriol Grau, Tania Menchón and Montserrat Vila. Special mentions this month go to Giovanni Frisoni’s team in Geneva (Switzerland) and Craig Ritchie’s team in Edinburgh (United Kingdom) who recruited 10 and 9 new research participants respectively. In addition, the EPAD family of trial delivery centres grew to 17 sites in May with Manchester and NHS Grampian (UK) both enrolling their first research participants. We expect three additional sites to become operational in UK and Italy in the coming weeks. We are also pleased to have reached an exciting milestone with 700 screened research participants in the LCS. Stay tuned for more news in July!